I wore this color for a total of 10 hours. Dragon Girl is a beautiful matte blue-based red. 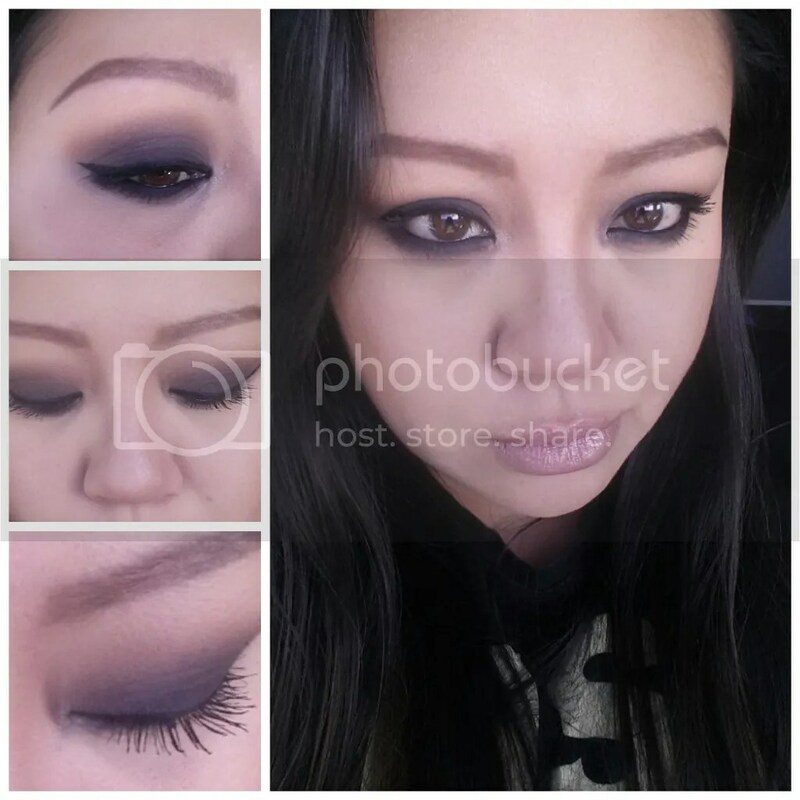 It looks great on its own, matched with mascara and a swipe of blush, or with a cat eye. 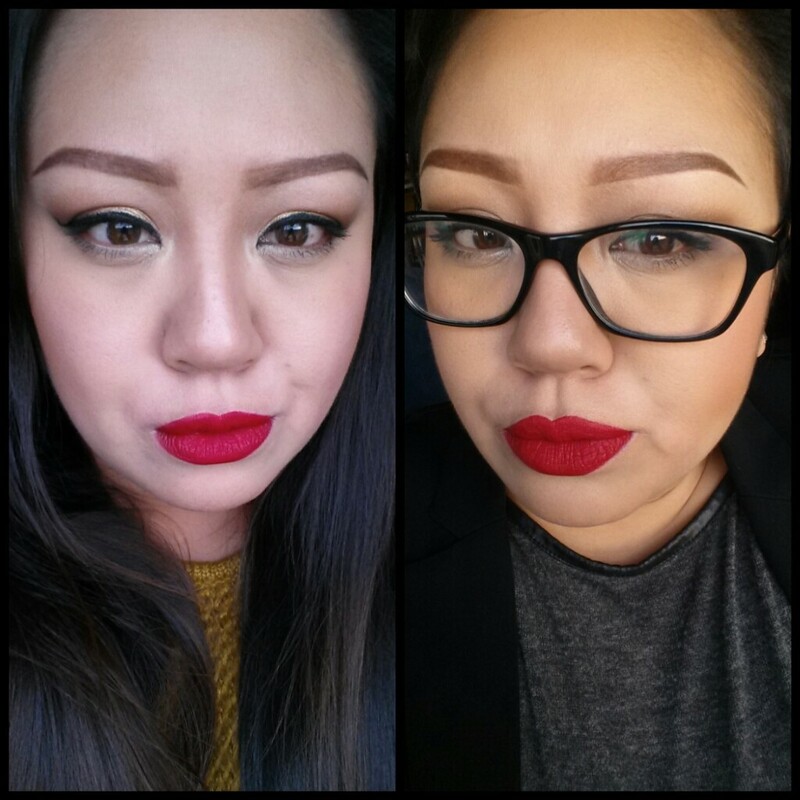 It feels very soft on the lips, and it is very easy to apply; the first thing I noticed though was that it is quite hard to get a sharp line around the lips, so that’s why I applied a red lippencil first (MAC Cherry). This is due to its size and round edge, which does make it harder to draw straight lines. 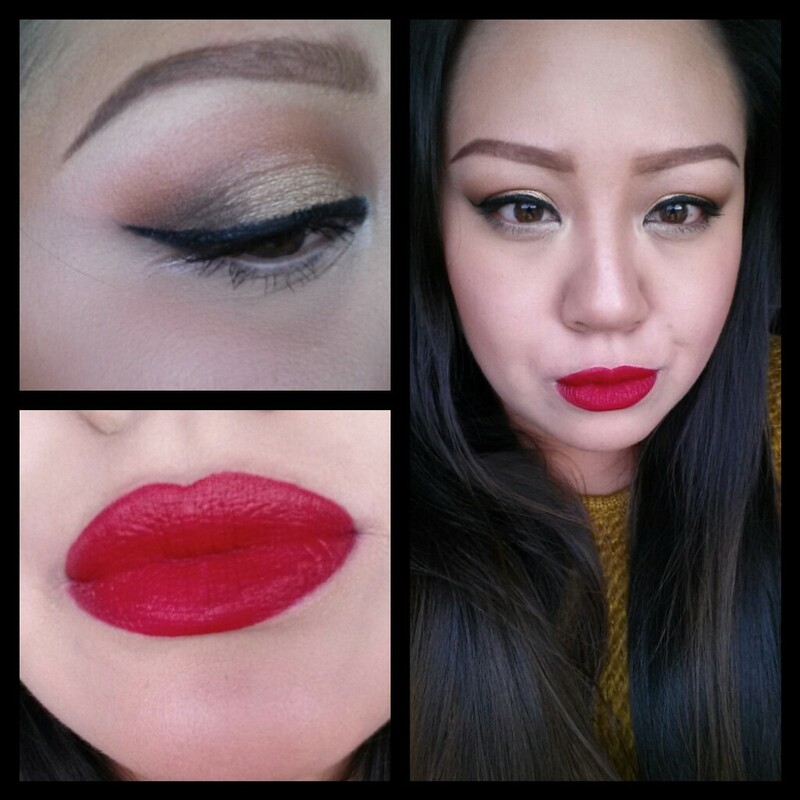 This color is quite similar to Ruby Woo, but the latter is more intense and darker too. Among the pros, besides being easy to apply, is the fact that its formula is not drying at all. 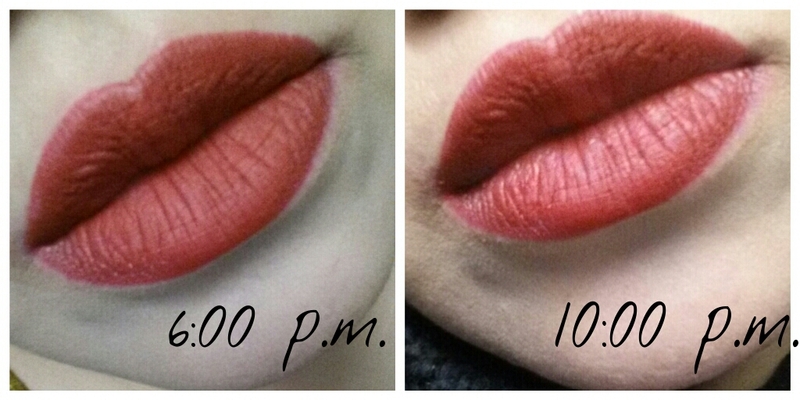 This is definitely a plus when it comes to matte lipsticks. 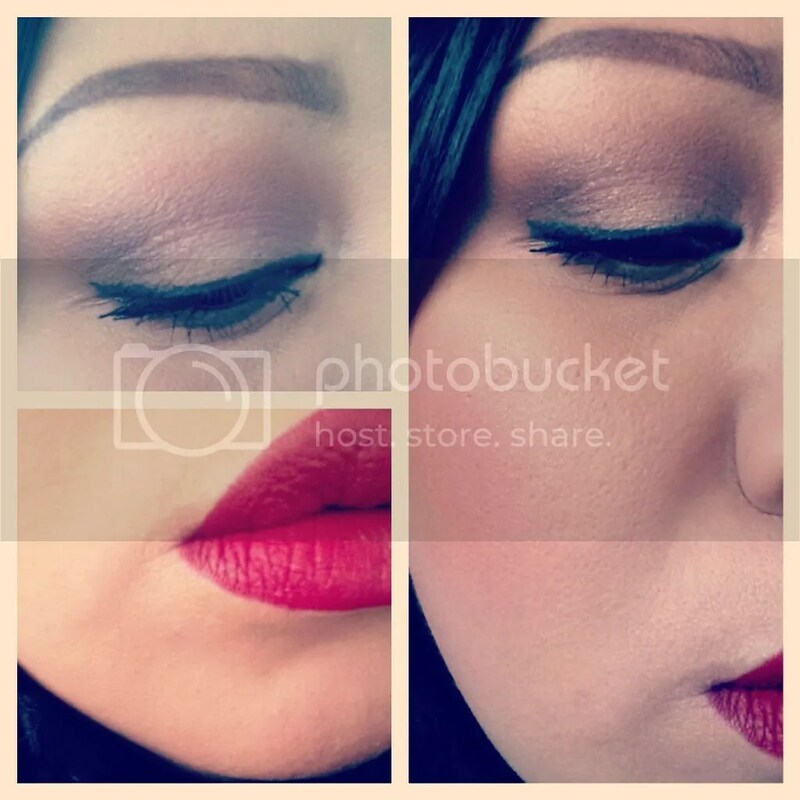 Just make sure that your lips are well moistured before applying it. During the day I had lunch with a friend of mine and had a chicken sandwich with some bacon in it. Before leaving the cafe I noticed that the lipstick bled outside the lines and some of the color swept away, so I actually had to reapply both the lippencil and lipstick, and also redefined my lips with concealer. Around 9 p.m. I had dinner and again the color faded away (see 3rd picture). So overall Dragon Girl is a beautiful color, looks good on my type of skintone (NC37, as a reference) and I doesn’t dehydrate the skin. However, it does smudge if you are not careful with food/drinks. Check out my Instagram to find out! Let me know if you want more challenges! 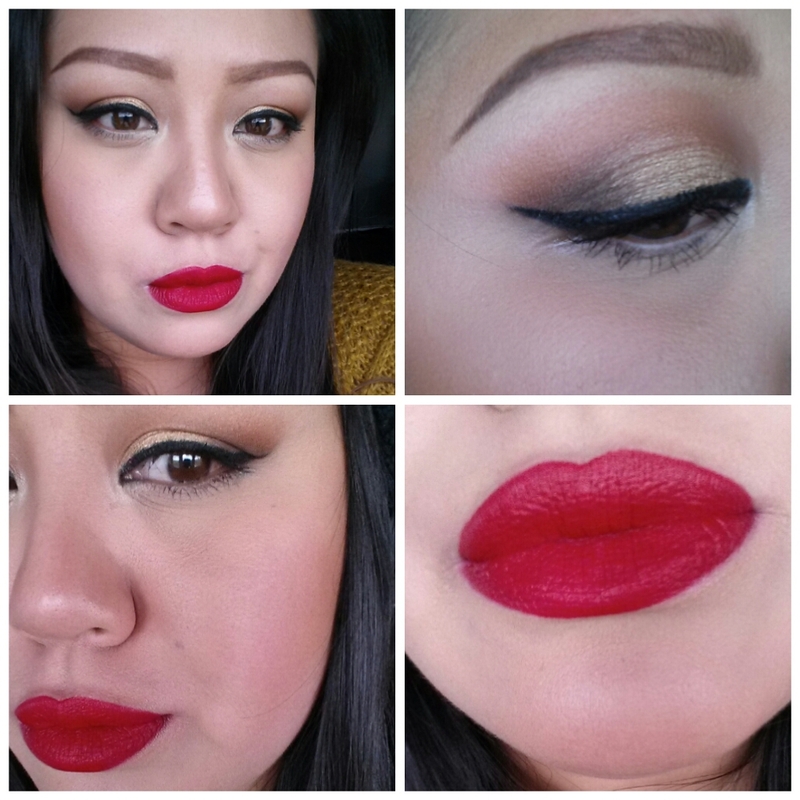 Today I chose for warm brown eyes paired with a bold red lip. 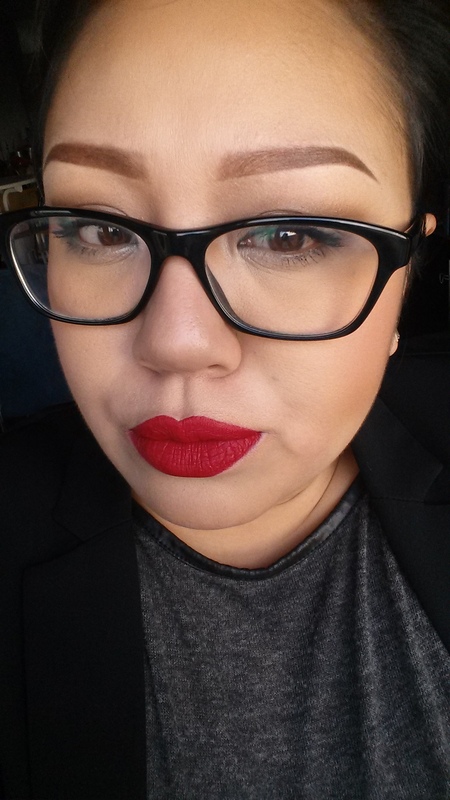 And you know which red I always go for: MAC Ruby Woo!!! 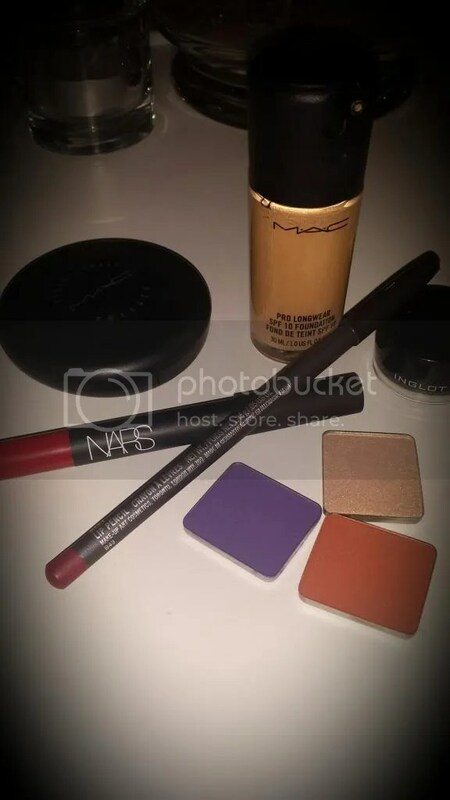 MAC MSF in Give Me Sun! For questions and inquiries just leave a comment below! 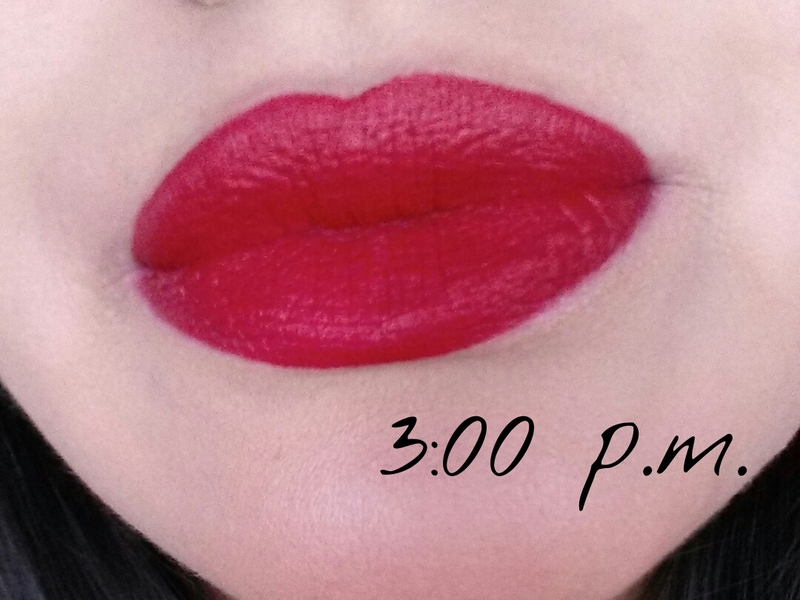 Stay tuned for the celebrity lipstick smackdown aka “Two days of red”!!! Apologies for my dark and puffy eyes, but I couldn’t catch much sleep last weekend! I hope I can catch some sleep these days…see you soon! 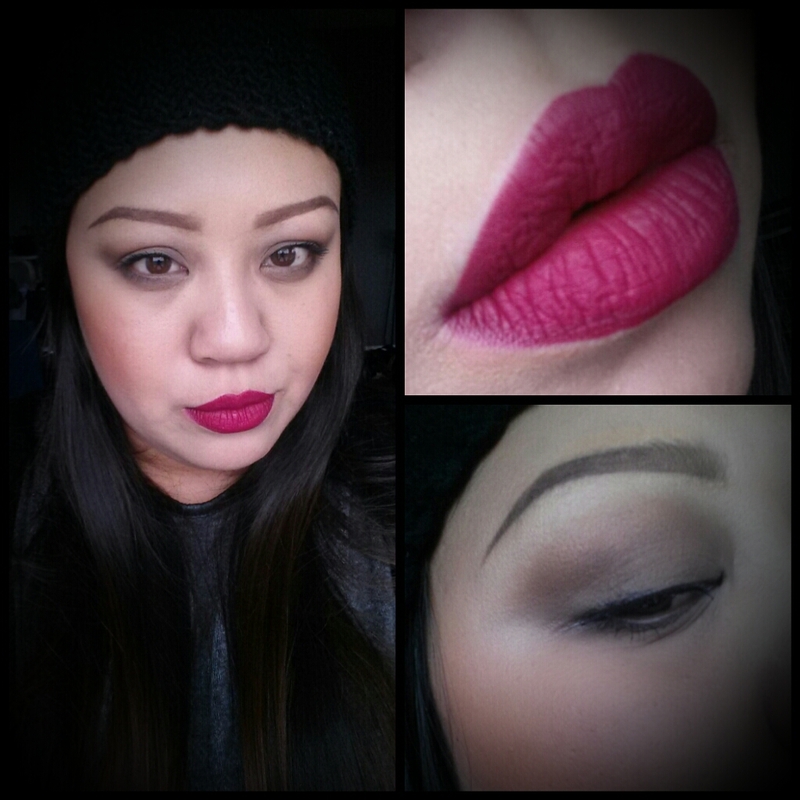 MAC Mineralize Skin Finish in Give me Sun!